Three years ago in 2015, Jazzman Records released A New Life, their critically acclaimed compilation of British jazz. This is no ordinary jazz compilation though. Instead, A New Life featured tracks from private pressings and hidden gems released by independent labels. So successful was A New Life that compilers Francis Gooding and Duncan Brooker began work on a second instalment in this occasional series. The pair decided to dig deeper than other compilers I’m their search for hidden gems, obscurities and rarities from the seventies and eighties for A New Life Volume II which was released as a two LP set Eventually, they had settled on twelve tracks which have been overlooked by previous compilers. These tracks are from hugely talented artists who come from all over Britain, and sadly, didn’t enjoy the commercial success and critical acclaim that their considerable talent deserved. Part of the problem that during the seventies and eighties major labels in Britain had very little interest in jazz music. This meant that the artists that feature on A New Life Volume II were left to release music on small independent labels or as private presses. Many of these labels were small and run by either jazz enthusiasts or jazz musicians who wanted to release their own music. Independent labels and private presses were the only way for many British jazz musicians and bands to have their music heard, That was the case the length and breach of Britain. Everyone from established artists who had released several albums right through to experimental groups to up-and-coming local groups to youth bands began to release private pressings. This they realised was the only way to document their music and start to create and build a scene in their local area. That was the case from London to Leicester to Belfast as familiar faces and new names released albums as private presses or on small independent labels. Proof of that are the thirteen artists and groups on A New Life Volume II. This includes Belfast born Gerry McClelland’s Come, Listen To Me which sets the standard high with a stunning example of swinging vocal jazz. It’s joined by the theatrical modal jazz of Don Rendell Five’s Unicorn and Billy Jenkins spiritual jazz homage to the jazz great Pharoah Sanders. Welcome additions are Frank Evans’ Pipe Of Peace and Inner Ear’s Dunkelfunk which are hidden gems that will gladden the heart of all true jazz fans. Another hidden gem is the Midland Youth Jazz Orchestra’s Down In The Hollow very few jazz fans will have heard until now. The same can be said of Big Baffle’s Bikini Atoll and even Pat Crumly Sextet’s Senufo Chant which closes A New Life Volume II. 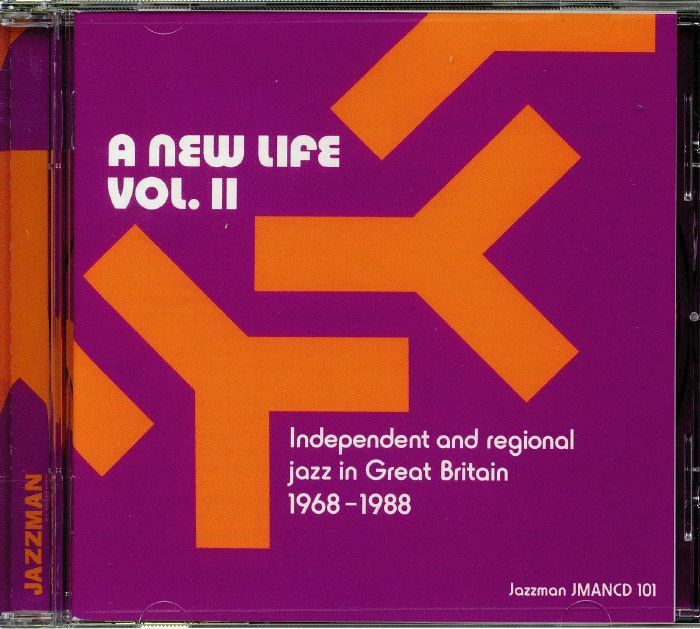 The thirteen tracks on A New Life Volume II are a reminder of a time when major labels were no longer interested in British jazz, and artists and groups were left to their own devices, Across Britain small independent labels were founded and some artists, groups and orchestras had no option to release their albums as private presses. Sadly, many of these albums are oft-overlooked or long forgotten by even many British jazz fans. That was until Francis Gooding and Duncan Brooker began work on A New Life Volume II, which has just been released by Jazzman Records. A New Life Volume II is a fitting followup to A New Life and features thirteen hidden gems, obscurities and rarities that are a reminder that there were still many talented jazz artists, bands and orchestras recording and releasing esoteric, groundbreaking and unorthodox music that deserved to find a wider audience and hopefully will, albeit somewhat belatedly. ← ABSTRACT ORCHESTRA-MADVILLAIN VOLUME 1-VINYL.